Discussion in 'Android News' started by danDroid, Dec 7, 2009. Digitimes.com broke a story this morning that will disappoint many in hopes of a HTC Passion/Dragon/Bravo being released before Christmas. 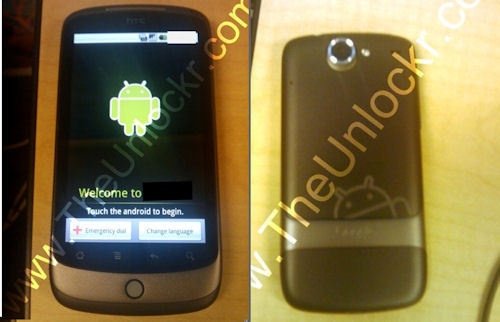 The report indicates that HTC's first Android 2.0 or by then possibly Android 2.1 smart phone slated for Verizon will likely be pushed back to an early 2010 release according to "market sources". "HTC is working to further advance the software attached to the Passion, explained the sources, who are familiar with the Passion roadmap. The Passion will be powered by Qualcomm Snapdragon 1GHz CPU and equipped with a 3.5-inch multi-touch OLED display." this sux...looks like i gotta admire my wife's droid for a bit longer. After looking at the "roadmap" and the supposed leaks of phone designs coming from HTC... all I can think is...1.I am glad I got my Droid and didn't wait longer. and 2. It looks (to me) like the Droid will continue to be top dog in the Android world as none of these phones look like showstoppers to grab the mantel from the Droid. HTC Bravo AKA, htc passion, aka htc dragon? "Update: If you were wondering about the difference between the Bravo and the recently leaked Passion, there is none other than the branding, apparently. We're also hearing that the above handset will be available in the US in January, a cool three months ahead of the expected European release." "We realize we might have overfed you a little with that plentiful leak of HTC's 2010 plans, so here's a chance to better ogle and digest HTC's "Performance" flagship to be: the Bravo. Pairing Android with Qualcomm's 1GHz Snapdragon and presenting a 3.7-inch AMOLED facade, this certainly ticks the headline boxes, and the addition of a five megapixel AF cam capable of 720p video capture gives it an extra sheen of 2010 newness. The picture above is accompanied by less solid info indicating a 1,400mAh battery, which will be joined by the mandatory WiFi, Bluetooth and MicroUSB connectivity, plus MicroSD expansion, FM radio tuner, digital compass, and a 3.5mm headphone jack. Then again, the source is the same bunch of heroes responsible for our extra early -- and accurate -- info on the HD2, so those specs may be considered pretty reliable. Oh, if you're wondering about the touchscreen, it's capacitive, like it should be." i thought that the screen size was supposed to blow the droid and the iphone out of the water with 4 inches? this first post says its only 3.5. can anyone shed some light on this? Agreed, everything I had heard stated it would have a 4.2 in screen if i remember correctly. 3.5 is nice but now im on the fence if it's correct. Blow it out of the water? The Droid has a 3.7 inch screen...so you consider .3 inches to be blowing the competition out of the water? That is a good way of looking at it. I didn't even think about those .3 inches being 10% of the screen.